Saab’s fall from grace is long and well-chronicled, morphing from a charmingly quirky Swedish innovator to yet another GM parts-bin special over the course of the 1990s and 2000s. The Vectra-based 9-3 and 9-5 were decent enough cars, but lacked the ethos that was so prevalent in Saabs of yore, and the 9-2X and 9-7X were exceedingly bizarre and rather pathetic attempts at badge-engineering that only furthered the perversion of the historic Saab nameplate. By the mid-2000s, it was clear that the writing was on the wall for Saab; its US sales started dropping after 2003, and its European sales fell off a cliff a few years later: in 2007, Saab sold 84,000 cars in Europe, but by 2009, that number had cratered to just under 27,000. No doubt, the global financial crisis played a role in this sales meltdown, but what little market share the brand once had was quickly eroded under its feet, yielding a simply untenable future. Paul’s excellent eulogy of Saab covers its history in more detail, but for today the focus is on one of the few models that emerged amidst Saab’s death throes, and I would argue that it is in fact the most obscure Saab model ever sold in the United States. (It’s not the most obscure Saab model ever marketed, though: that honor would likely go to the Saab-Lancia 600, a Scandinavian-market-only rebadge job of the Lancia Delta from the early 1980s.) 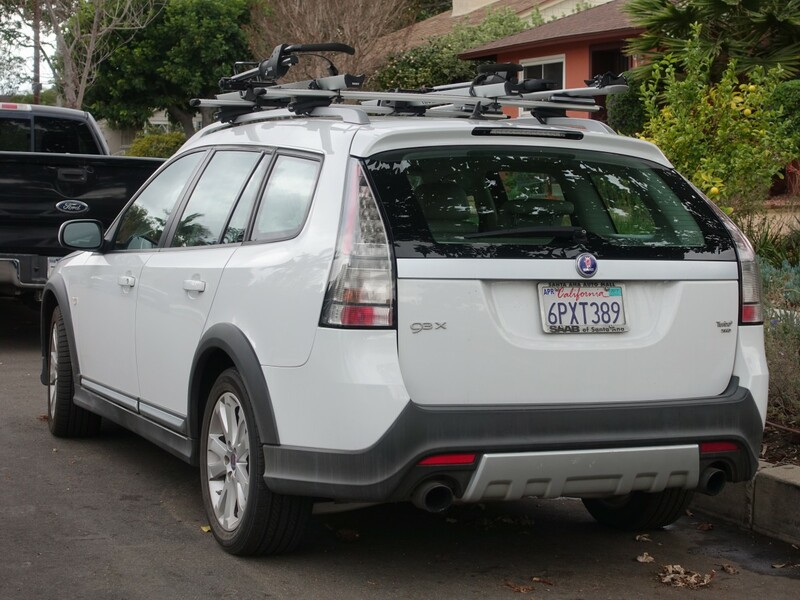 Yes, the Saab 9-4X is technically rarer, with just 267 sold in the United States, but that was an all-new Saab model that at least garnered some media fanfare. I didn’t even know the 9-3X existed until I stumbled upon this one parked on the street last year. In one regard, though, the 9-3X was ahead of its time. Essentially, it’s a 9-3 SportCombi (the wagon model) that’s been jacked up 1.4 inches and outfitted with trendy black plastic along the underside of the car and around the wheel arches. All 9-3Xs were outfitted with Saab’s AWD system (dubbed ‘XWD’) and featured an electronic limited-slip rear differential (but honestly, so did the XWD 9-3 Aero, so that wasn’t a huge selling point for the 9-3X). 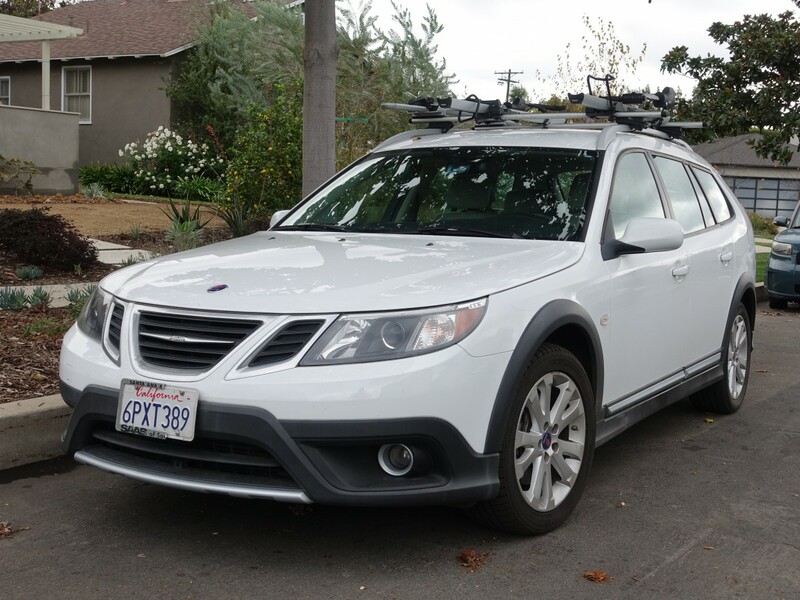 Saab also discontinued the SportCombi XWD model for the 2010 model year (the first year for the 9-3X), so if you wanted AWD in your 9-3 wagon, this was now the only way to get it. But unfortunately for Saab, this formula fell flat when it came to the 9-3X. Sales were dismal, with just 498 US sales in two model years. This particular example is a 2011 model, one of just 161 sold: that makes a 2011 9-3X rarer than a 2011 9-4X (the only year for 9-4X production). Why was it such a flop? Well, partly due its debut during Saab’s last gasps for air and partly because it was an aging and frankly uncompetitive platform. 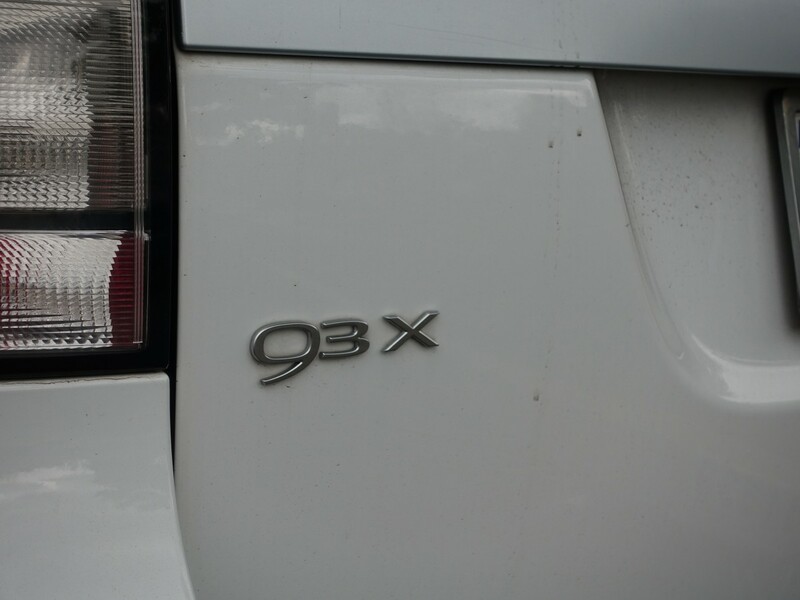 The 9-3 had been on sale, mostly unchanged, since 2003, and it wasn’t terribly well-regarded even when it came out. By 2011, it was a dinosaur, and the 9-3X was dead on arrival: a last-ditch attempt to salvage a sinking ship. It was also overpriced, with a base price of $36,975 (almost $43,000 today). That was far too much for a ten-year old design with an interior by Fischer-Price era GM and an uncertain future for its parent brand. Its closest competitor was probably the Volvo V50 AWD, which undercut its base price by $4,000 and was probably a better car anyway. And a 6-cylinder Subaru Outback was almost $10,000 cheaper, while offering a vastly more practical package and a much trendier nameplate. You’d have to have been a die-hard Saab aficionado to even consider plunking down your hard-earned cash on such a dubious value proposition. And, truth be told, there weren’t many of those left. By the time the 9-3X came out, Saab was some 25 years removed from its heyday, and 15 years into the era of GM cost-cutting that alienated many loyal Saab customers. The 9-3X didn’t really offer anything that the competition didn’t, save for a console-mounted ignition switch and the wistful reminder of a bygone era. 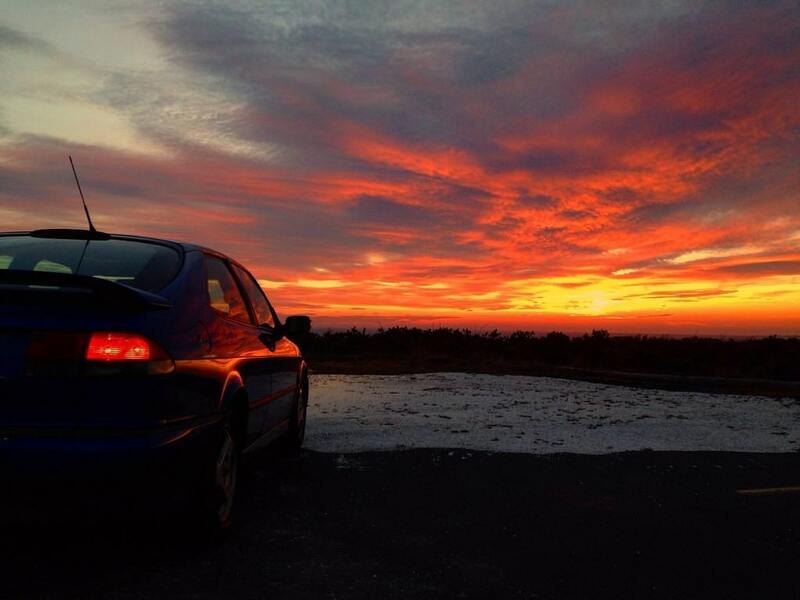 And as the 2011 model year came to a close, so too did Saab, as the fabled marque took its final bow and faded away into the Swedish sunset. GM: The Kiss of Death. If anything, I’m impressed how long they lasted after GM took over. I have memories of my brother in law’s ‘93 and how different it was from the ‘70’s models I wanted to own so badly. Not really true. Saab was an all-but-dead brand even before GM took over. Saab got greedy and abandoned its core market of moderately-priced but quirky cars. Its attempt to go upscale into Audi and BMW territory with the half Fiat/Lancia 9000 hatchback ended up failing in the all-important US market. By 1990 all Saab had was the ancient 900 (based on a 1967 platform) and the non-selling 9000 (the addition of a notchback in 1989 was far too late). There was no money for new models. GM genuinely tried to revive the brand at first with the new 900 and 9-5. People carping about the Opel bits in these cars conveniently forgot about the half-caste 9000. However, buyers continued to stay away and GM was running into big problems of its own by the late 1990s. At that point could it be said that GM began starving off Saab. Volvo is in the same situation, only they were saved by a Chinese company with billions lying around. Volvos starting around the Ford period started to move upscale to try to compete with M-B, BMW, Audi, as they saw more profits in heavily-optioned vehicles, not base level models with cloth seats, no navigation, etc. 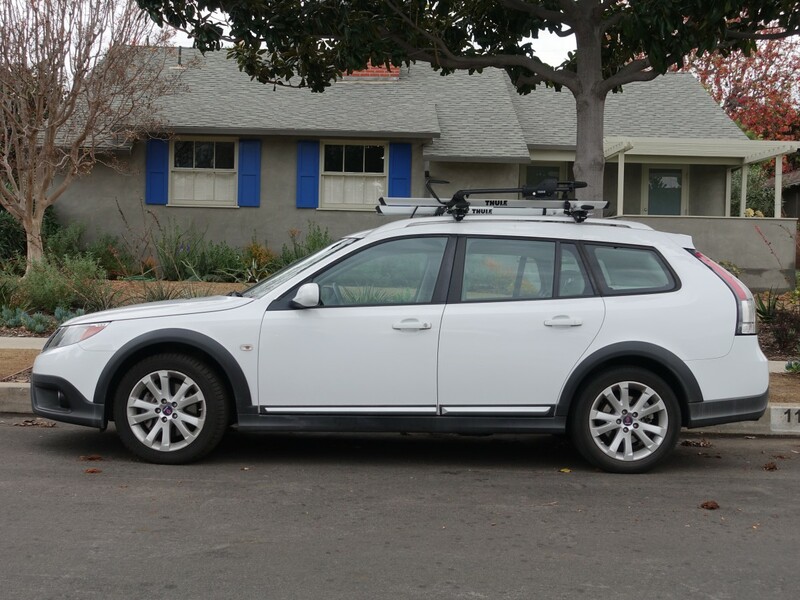 Many of the traditional Volvo buyers were put off like in Saab’s case, and went to Subaru, or other brands. It is sad to see a brand fade away after many years of existence, though. I always liked their logo and appreciated their different way of doing things. Unfortunately, being acquired by GM is a Borg-like proposition. There was no way that Saab was avoiding assimilation. 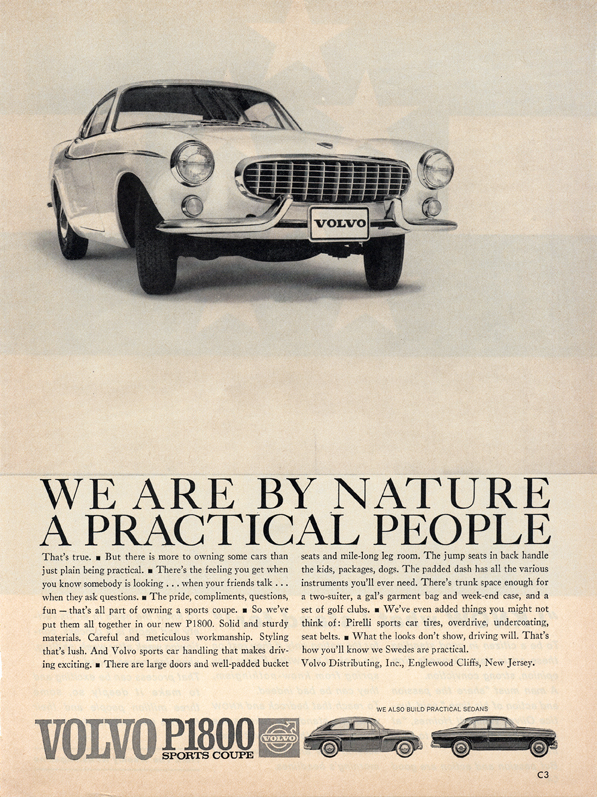 The most perfect vehicle I ever owned may well have been a ’72 Volvo 142. It was no more than a body-updated version of my ’66 122 (and I’d love to have than again). 4-cylinders, four-speed, heater and AM radio. Utilitarian seats, no frills. Suspicion it sipped gas, though I really didn’t chart such at the time. Of course, hindsight is rosier. I kinda like my AC, ABS, and leather seating surfaces. I like fewer trips to the repair shop and longer service intervals. But ultimately, a car is merely a device to get you from here to there. Attached in my favorite here-to-there. Would you believe 39 MPG at 90 MPH? the “non selling 9000” ? Just what are you talking about? Saab sold over 500.000 units of the 9000 CC / CS models. The problem was not that Saab did not manage to sell the 9000 but that they lost money on each car as the cost for bringing the “Tipo 4” chassis / body up to Saab´s safety and quality standards were simply too high. Also, many Saab enthusiasts nowadays will agree that the 9000 was the best true Saab ever built. It was fast, rugged, economical, utilitarian and yes…fast. Quirky? Not so much. The 9000 didn’t sell well in the USA because hatchbacks have not typically been equated with upscale cars. Also, 500,000 cars over 14 model years isn’t all that impressive for what was supposed to be a volume model, especially since less than 200,000 were sold prior to GM’s takeover. it did underperform and not meet expectations sales wise – still – 500.000 units may not have been impressive for a 5 series or an E-Class but it sure was for a upper middle class sedan such as the 9000 from an exotic swedish car manufacturer. 35,000 sales per year for a sedan is a disaster, unless it’s a very, very expensive model with a phenomenal profit per unit. The fact that 35,000 is the best that could reasonably be expected in a crowded market only means that it was a doomed, stupid decision from the beginning, not a victim of unforseeable market changes. Gee, I’m glad SAAB was so stupid as to provide me with eight years of 90% happy motoring in the probably the best all-round vehicle I’ve ever owned. It was huge inside, small outside, with panoramic views. Thirty MPG was easily attainable, and so was 140 mph (once, on a lonely road with three-mile sightlines). You could fold the seats and sleep inside or haul home a washer and dryer set. Or pick up a VIP guest and transport them in a roomy back seat. The SAAB 900) did everything I’ve ever wanted a car to do for me, except avoiding repair shops and getting more than 30 mpg. Totally agree John. I bought a 2008 9-5 in 2013 for $10,500 with 60,000 miles. It’s provided me with 40,000 miles of trouble-free driving. In 5 years I’ve put in $2,500, and most of that were wear parts, oil, fluids, plus preventative maintenence. The 9-5 has incredibly comfortable seats, a great 265 HP engine, roomy backseat, and luxury options that were standard…leather, moonroof, heated seats front and rear, rain-sensing wipers. On top of that, the body style is unique and not at all dated. My only issue is that the turbocharged engine requires premium fuel. Too bad they didn’t make money from it, and didn’t have a chance of doing so. I had forgotten all about these. In truth, I had pretty much quit paying attention to Saab long before these came along. Saab had, unfortunately, an unsolvable problem. Saab was a company that had become loved by a very few because of its unusual cars, but it was too small to survive the modern world. To grow they needed to appeal to more mainstream buyers. But appeal to the mainstream killed what Saab was. Neither Saab nor Volvo was really naturally equipped to compete with German high end cars, but they tried. This car might have done better had it come earlier in Saab’s life. I kind of like it. JP, let’s get together someplace we can rocket around in my 9-3 SportCombi Aero. 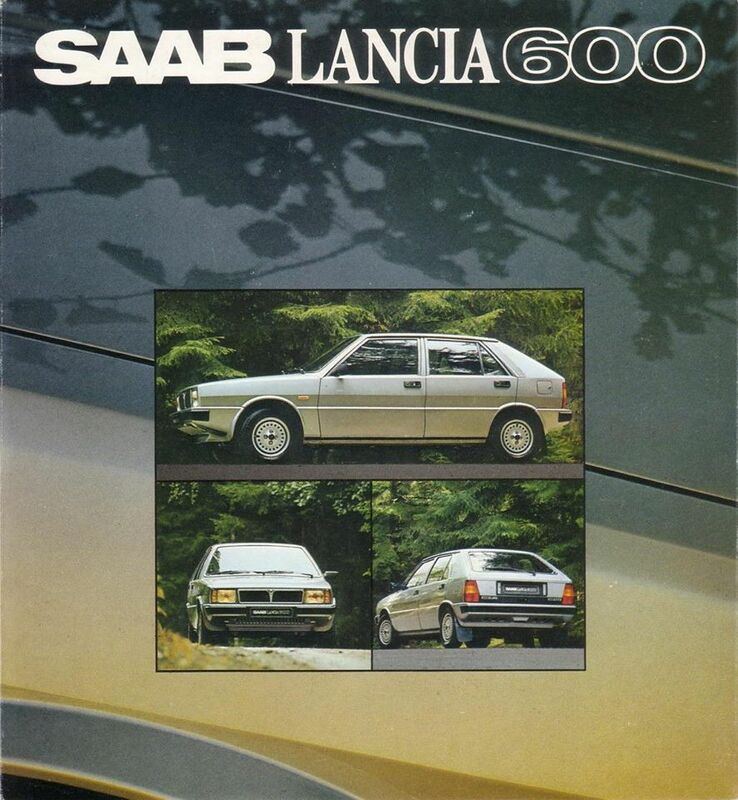 It seems like when the general public thinks of Saabs, they automatically think of the 900. The 900´s production run ensured that the model became synoynmous for the entire brand and all other models seemds to be more or less invisible. The iconic power of the 900 basically extinguished all successors in collective memory. The whole “save SAAB’ movement is a good example of car fans not putting money where mouth is. They did picket lines, online polls claiming “I’d buy one!”. Cant expect your favorite cars to be built, only to buy 10 years later as ‘toys’. SAAB was on life support when GM first bought 50%, so they would have died anyway. GM is an easy target, but where were all the “loyal buyers” when needed? Another thing, in the 60’s/70’s, SAAB was aimed at Volkswagen, and had the small economy image. To try to sell as ‘luxury’ to cover their high costs, starting in the mid 80’s, was a fool’s errand. To be fair, a good chunk of what forced a lot of Euro makes to go upscale (including Volvo, SAAB, Peugeot, and one could argue BMW) were the crazy exchange rates between European currencies and the American dollar that began in the mid-70s. All of those companies made relatively affordable (in the US) sturdy family cars in the 60s and early 70s, but with the wacky exchange rates they had to become luxury cars in order to justify their pricing. A 1975 Volvo 244 was a US$5000 car. By 1985 it was a US$14,000 car. True — the exchange rate moved both Mercedes and Volvo into luxury class. Volvo, long before Ford dumped money into them, was often referred to as the “Swedish Ford.” My ’72 Volvo listed barely above a similar Ford of the same date. Guess which car had better reliability. I think calling the 9-3x “ahead of its time” is pretty generous, given that the Subaru Outback predates it by about 15 years. I had one experience with a Saab when I was flipping cars around 5 years ago. I purchased a gm era 900 convertible, possibly a 1997ish for something like $1200. The top didn’t go down and it had a few other minor things the matter with it. Now usually on a convertible, there are a couple of manual latches, a motor, and a switch. This thing had dozens of microswitches all of which had to be set and timed in sync to make the top go up and down, and it cost something like $1600 to fix. Then there was some other engine controller which was also a very, very expensive repair. The Saab shop fixed the top, it went up and down once or twice, and then got stuck again. I ended up giving the car to my usual mechanic in exchange for future work. The car drove nicely, but not at all worth the aggravation and hideous and frequent repairs. In 1985, people would buy nearly anything European, in part due to the strong dollar and in part due to the “tasteful and cool” choice of a European yuppie import or a granddad pillow tufted Lincoln. By 1995, even a Cadillac DeVille had 300 hp and a sophisticated engine, and there were Japanese brands as well. Audi had recovered from its sudden acceleration debacle and BMW had firmly cemented itself as an aspirational and practical car. 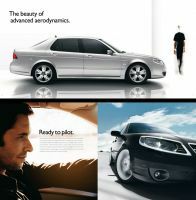 Saab never really developed an image beyond “quirky.” Lexus has a reputation for quality. Acura used to have a sporty reputation, Infiniti is somewhat sporty, BMW is definitely sporty, Audi is sport-luxury, and Mercedes is luxury, but all of those brands developed solid images and reputations people are willing to buy. Volvo had a reputation for safety and durability, but now everything is safe and more durable than a Volvo. Subaru seems to have conquered the quirky market with solid cars, but alas for Saab, Quirky and fragile just don’t cut it. Even the pre-GM Saabs had some reliability issues. 900 Turbos are famous for fragile automatic transmissions. Just as an example of Saab ownership, my brother bought a new 5-speed 900 Turbo sedan in 1981. A really nice car to drive, but it developed electrical issues after a year. Then the rear badges fell off. Finally, after two years a fuel injector line cracked under the hood and the resulting fire totaled the car. The heat melted the headlights out of the sockets, but to Saab’s design credit, the passenger compartment was basically unaffected. The reality is even worse – it was his wife standing beside the burning Saab, holding the infant son. Needless to say, a replacement Saab was not in the cards. I had no idea so few of these were sold. I know I’ve seen at least several of the 9-3x in the wild, and I feel like I still see some from time to time, though it could just be the regular 9-3 SportCombi. As I’ve said before in my 9-3 review piece last year, I’ve always wanted to like the 9-3, but having driven several the ride is just too jarring – harsh without having sporty handling. Sometimes I forget how beautiful these cars are, until I see one again. I’m smitten- it’s simply perfect. I’ve stopped buying cars for their looks; I’ve even stooped so far as to own a pretty ugly car now. But this is compelling, muscular, graceful and poised, all at once. PS- SAABS always were capable off-road vehicles that wore their pants cuffs up high. I can’t forget a 10-mile drive in Utah years ago, following a pickup down a road that primarily was a dry wash of firm sand fringed by rocks. In my SAAB 9000 turbo. The thing had more than six inches of ground clearance, with a well-shrouded underside. Back before anybody said “SUV,” a buddy and I were blazing trails in our 9000s, towing raft trailers and pounding big mileage, taking easy primitive roads, sleeping in the roomy rear compartment with the seat down when we weren’t cruising an easy 85 at 30 mpg. Such versatile cars, those SAABs! But they weren’t marketed for the outdoor lifestyle, so how many people knew what they could do? The CC effect in action…saw my first ever 9-4x yesterday, white one near the University of Cincinnati Medical Center on “pill hill”. I’m not sure I’ve ever seen one of these 9-3x. When I first looked at the picture, I thought at a glance that it was the VW AllTrack wagon. Had 2 SAABs in my life…a terrific classic 900s hatchback and a GM-era 900s convertible that was a NIGHTMARE. Cable-actuated clutch with some rudimentary self-adjustment function that never wanted to work right, and kept breaking clutch cables. Yuck. Less than 500 of these over two model years? Wow. That is seriously disheartening, considering the runaway success of similarly positioned Subaru products. This last series of the 9.3 was as good as they got. The last year or so of production gave little problems, looked good and was great to drive. Remember the TurboX? I think I’ve only seen one of these in my life, around 2011. At the time I thought it was a desperate, blatant XC70 knockoff, and unfortunately, seems like it didn’t amount to much more. I took a bike ride today on a quiet rural road outside my town, and saw three Saabs within about 5 minutes. Two 9-5 wagons and a 9-7X. No 9-3X though, a model I’d never heard of until this post. Overall, it was a CC-worthy ride, with two Grand Marquis, a 1950-ish Plymouth, a postal Jeep, a ‘59 Chevy and several others all within a few miles. Some on the road, others gathering dust roadside. I recall going to the annual auto show at the local convention center in….2008 I think. I hadn’t been to a show where all the makes were in the same place in years. I distinctly remember being disappointed in the “cockpit” seating arrangement of most every car, and dammit, truck, too. I wanted to see a VW Passat, and was horrified by the “Audi-ish” grille treatment. I sat in almost every vehicle I could that day. Of all the cars (the only mainstream make not present was Mercedes), my 2nd favorite interior was…the Saab 9-3. It just felt right, and I could tolerate the console. What was my favorite, you may ask? It’s embarrassing to say so, but the Mercury Marquis was my hands down favorite. Big, body on frame, V8 powered, American steel. It was like sitting on my living room couch, with a steering wheel and a stereo within arm’s reach. Maybe I shouldn’t be embarrassed. Maybe the manufactuers should be. You’re right. This was ahead of its time. The Volkswagen Golf Alltrack would be the modern analog to this. I’m thinking about buying one to replace the Golf SportWagen TDI I had a couple of years ago. The Volvo V60 Cross Country is another.